In ancient Greece, since laws were unwritten at first, the social pyramid’s elite of nobles and rich men interpreted and twisted the aforementioned laws for their own exclusive benefit. Of course, as usually happens in such cases, this elite claimed the laws were god-given, and subsequently, holy and to be blindly followed by all members of society… except themselves. At this time, however, something somewhat new to recorded history started to happen- certain people consistently began to think more logically about such laws, and finally initiated protests against the so-called “noble and holy habit” of creating and interpreting laws. The common people, thus, demanded a single, written and organized legal system that would be fair and practical for every social class. In this way, Draco, the first legislator of Athens in ancient Greece, is introduced to us. Though, Draco wasn’t the first person to document a complete system of laws, he was the first democratic legislator in recorded history, given that he was the first lawgiver to write a codes of law following overwhelming request from the citizens of any ancient city-state. Simultaneously, the initiation and realization of written law came with an extremely high cost for local Athenian society, and actually worked to the disadvantage of the same citizens who had petitioned Draco to record a legal system. Nowadays, we may not hear the expression, “Draconian Laws,” very often, but for much of recorded history, this term in various languages has been synonymous with harshness, severity, brutality, and unmitigated terror. However, what were the Draconian Laws? Where does the name originate from, and most importantly, why did it inspire so much fear and intimidation? As briefly mentioned, the Draconian Laws were ancient Athens’ established code of law, reportedly introduced to local Athenian society by lawmaker Draco around 621 BCE, from whom the laws take their name. Draco, one of the ancient and most prominent tyrants, also lived strictly and had a decorated professional career, making him the ideal lawmaker in the eyes of fellow Athenians. 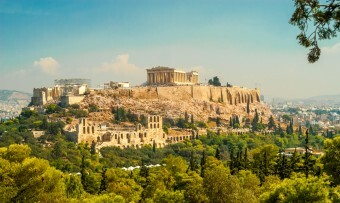 Although usually regarded as the first lawmaker in Athenian history, in reality, six men preceded him in institutionalizing unwritten laws and codes. 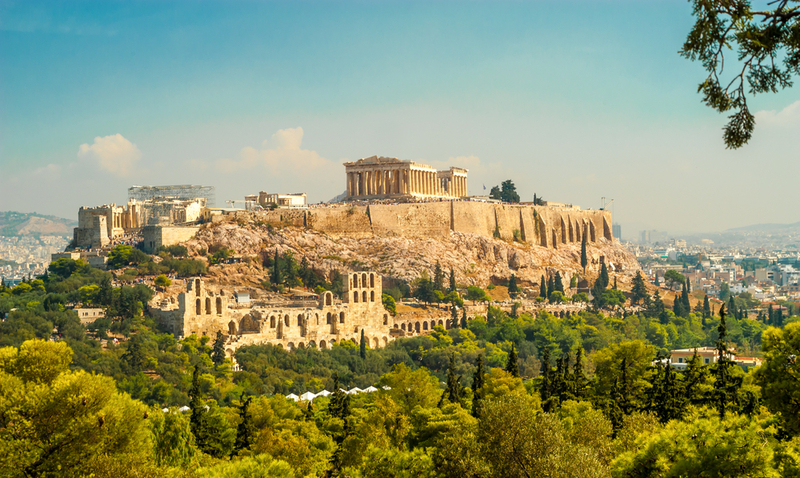 In 624 BC, Draco’s fellow Athenian citizens commissioned him to write Athens’ code of law. By 621 BC, he delivered a comprehensive and thorough legal system, written on plates to be placed publicly in the Athenian Agora. Instead of oral laws arbitrarily applied and interpreted, as well as known only to a limited number of citizens who belonged to the upper social class, all laws now were publicly written, and thereby known to all literate citizens. These laws, though fundamentally fair and applicable for every citizen regardless of heritage, social class, or wealth, proved to be extremely strict. The punishments for minor offenses were ridiculously harsh. For instance, the theft of a piece of fruit or sleeping in a public place were punishable by death! Similarly minor offenses could easily see a person turned from a free citizen to a slave. It is said that Draco himself, when asked why he had fixed the punishment of death for most offenses, answered that he considered these lesser crimes to deserve it, and he had no greater punishment for more important ones. Despite its many flaws and brutal punishments, Draco’s Code of Laws became the first in known history to differentiate between unintentional homicides, usually punished by sentence of exile, with intentional murders, in contrast, punished by the death penalty. This contribution of Draco to Athenian law and society, however, wasn’t enough to maintain his harsh written code of laws very long. Only thirty years later, most of the Draconian Laws were abolished and replaced successfully by Solon’s reforms and new laws. Solon, widely considered the father of Modern Western Law, did not manage to fully pass legislation against the political and moral deterioration of his age. Still, he led Athenian society out of the dark and harsh “Draconian Era” and most historians credit him as the Athenian who laid the foundations for the city-state’s later “perfect” democracy. In the end, Draco’s story and his infamous Draconian Laws, offers us much food for thought and teaches us numerous political lessons. Draco, though commissioned by the majority of his co-citizens, and not the “gods” like his predecessors, failed to deliver a people-friendly legal system. Instead, he became notorious for delivering one of the most inhumane and harshest legal codes the world has ever known. Nevertheless, from the ashes of that failure a revolutionary system slowly emerged which would soon set the foundation for a significant portion of modern law and politics in the Western world. The word “democracy” comes from the Ancient Greek “dēmos”, meaning “the people”, and “-kratia”, meaning “power/rule”. Draco’s death is also of special interest. Athenian citizens could not hide their appreciation for the famous lawmaker, despite the excessively harsh nature of his laws. Such “excessive” appreciation was destined to be fatal for Draco’s life, literally. As he visited the island of Aegina to be honored before a large crowd during a theatrical event, Draco was covered in so many of the caps, cloaks, and other articles the audience continuously threw at him, that he suffocated to death. Some considered the accident horrible and ironic, while others assume hidden motives were behind his death, and claim Draco was intentionally killed. Really interesting read. Perfect amount of info… Left me wanting to know more. Great work Theo. Thank you so much for this exceptional article! As they say “the pen is mightier than the sword”,even when it’s written with blood!!! Myself and family are distantly (and not directly) related to Draco. Thank whoever the old Greeks were literate and kept as many records as the Germans. Family lore holds that it was an accident that killed him, not murder. One way or the other, he had it coming. Really interesting article, but there is one question that leaps off the page at me as soon as I see his name but is never addressed. “Draco” means “Dragon”; how, or does, his name relate to dragon mythology? I can find several sources that say something like “Draco: From the Greek name (Drakon) which meant ‘dragon, serpent’.” Was he a lawmaker named “serpent” or did the lawmaker’s name come to mean “serpent” because of his harshness? My Google-fu seems to be too weak to answer this, but it would make an interesting bonus fact. Look, I’m not trying to push religion into this, but the Bible is the real book (Yes! It is, no argument!) and laws that were given (or whatever you want to call it) to ancient Israelites, pre-date all of this by about 900 years. It differentiated between manslaughter and murder, all people were to be taught the law (to know it and obey it), it was also available to anyone. No-one was exception to the law as well. And more, thieves were forced to repay the worth of stolen goods plus percentage (unlike today, where they are in cosy cell, while we pay the taxes to feed them). And on top of that, it wasn’t this drastic! This has nothing to do with beginnings democracy… but I thought it to be worthy of mention, because of how this was written. Make of it what you will.